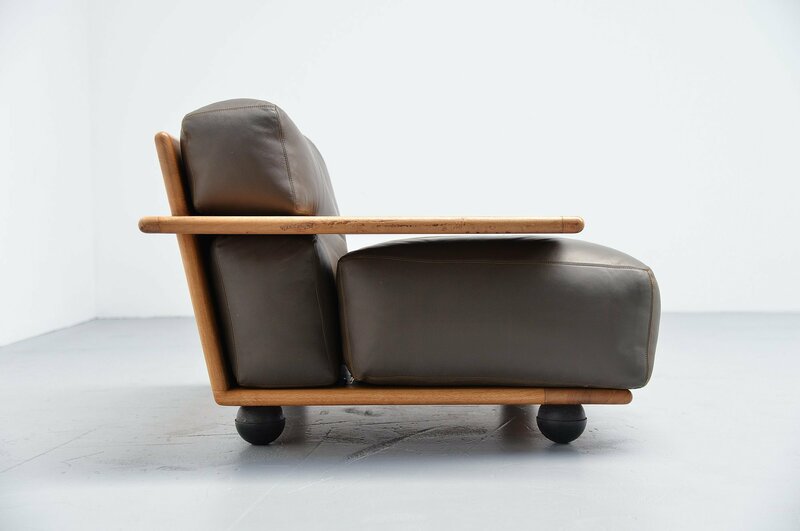 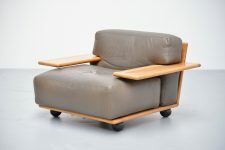 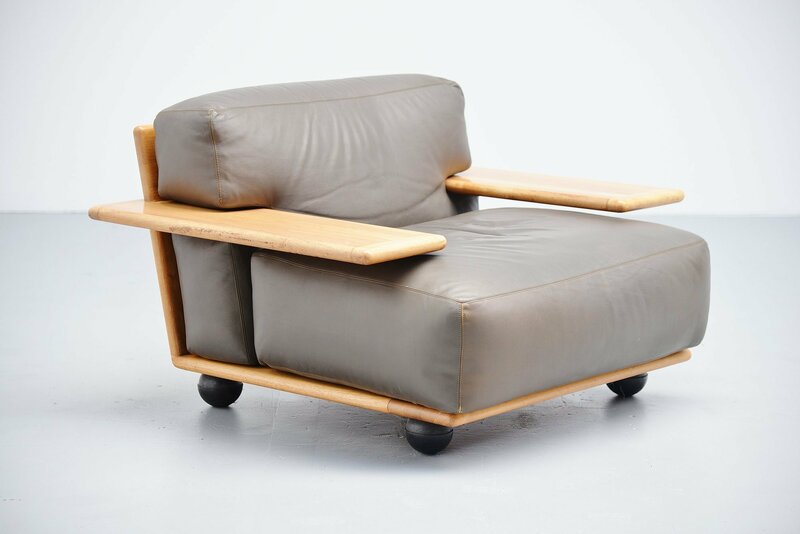 Fantastic low lounge chair designed by Mario Bellini and manufactured by Cassina, Italy 1971. 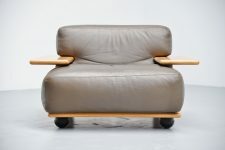 This chair is from the Pianura series and has a solid walnut wooden frame. 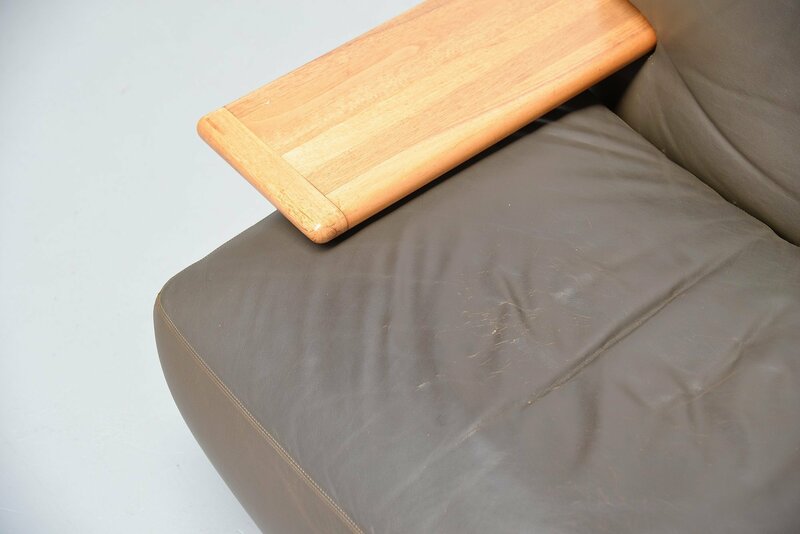 The cushions are made of dark olive green leather and have a very nice patina from age and usage. 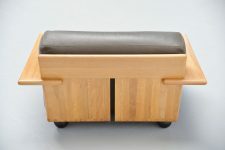 The legs are made of black rubber. 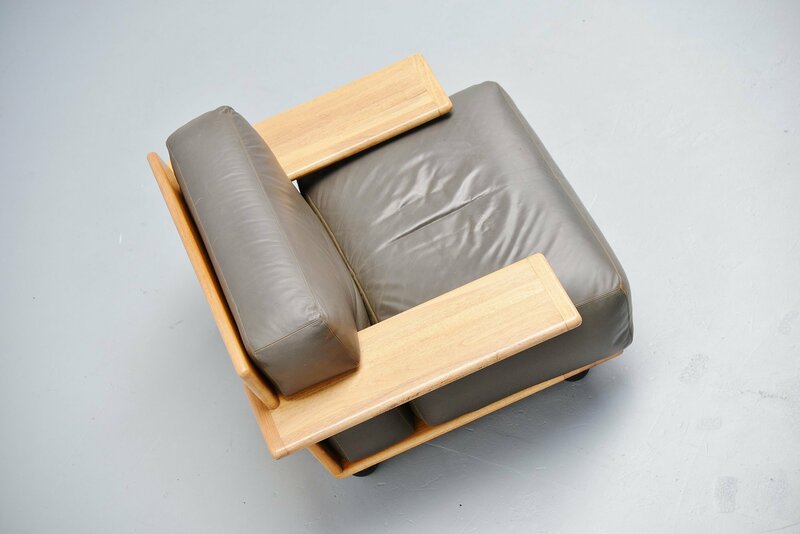 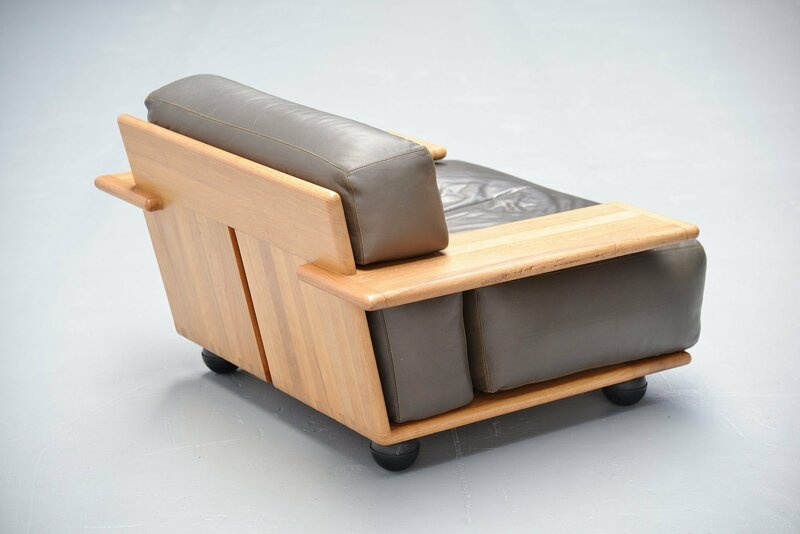 This is an amazing shaped low lounge chair in good original condition.